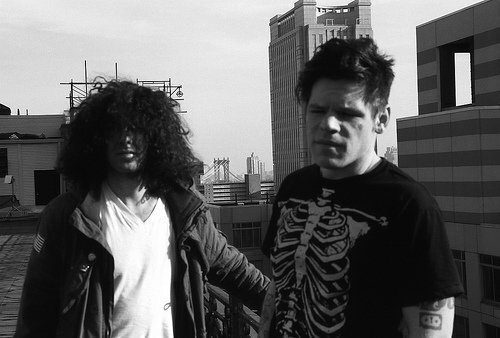 Matt Reilly and Ian Vanek. 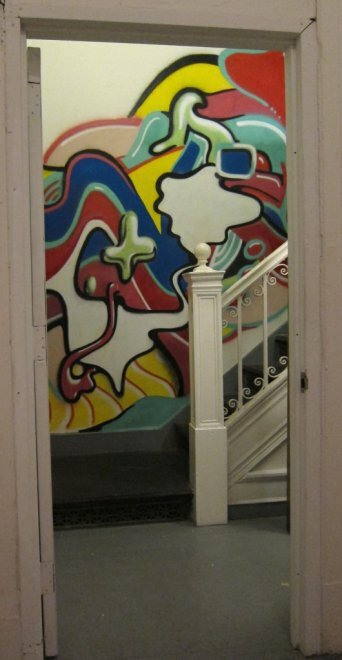 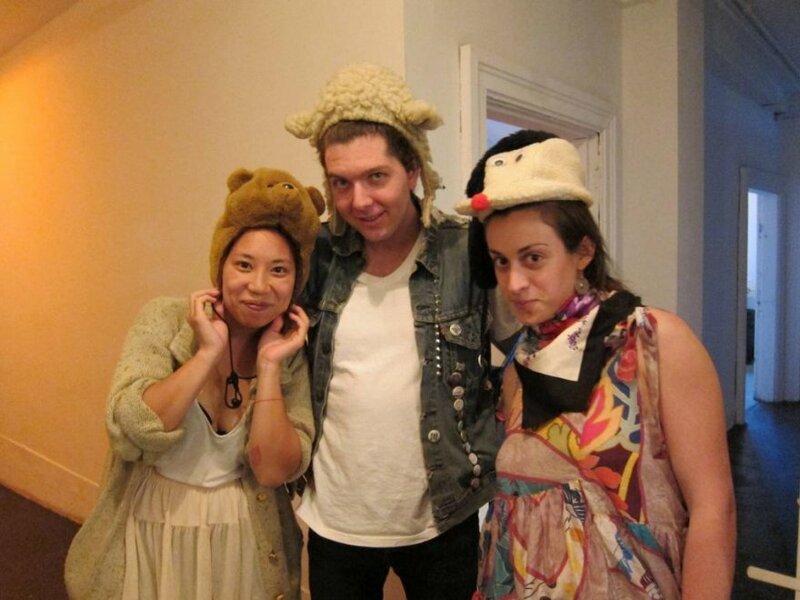 Photo courtesy: Nina Mouritzen, 2011. 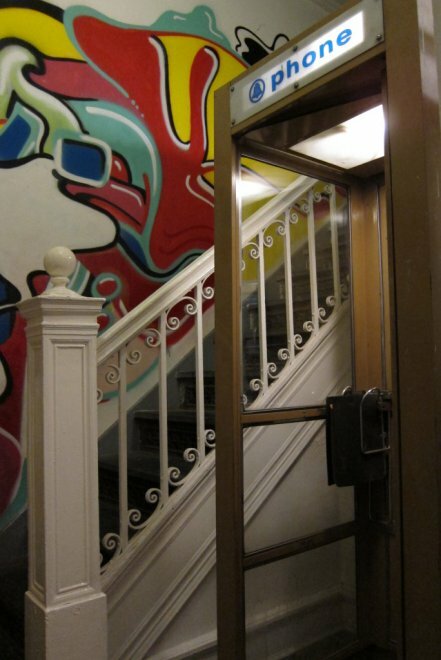 On April 4, 2011 Matt Reilly and Ian Vanek of the music and art duo Japanther launched The Phone Booth Project, a multidisciplinary work exploring ideas of community and storytelling through audio art, installation, and performance. 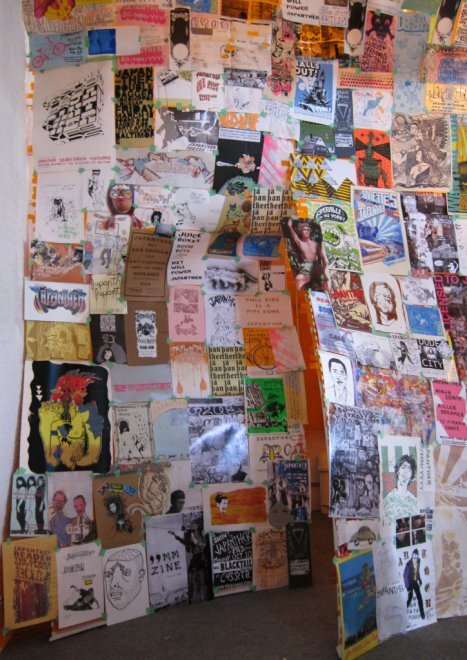 Over the course of a month, Reilly and Vanek hosted three salon-style dinners for groups of 35 to 50 invited guests in the upper gallery of the Clocktower, which the artists covered with hundreds of limited-edition posters, cards, flyers and printed matter produced over the course of their career. 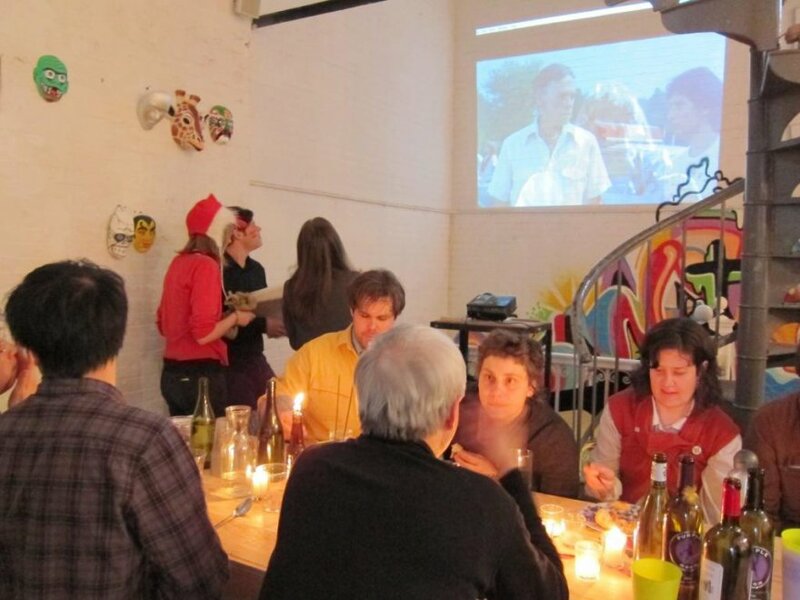 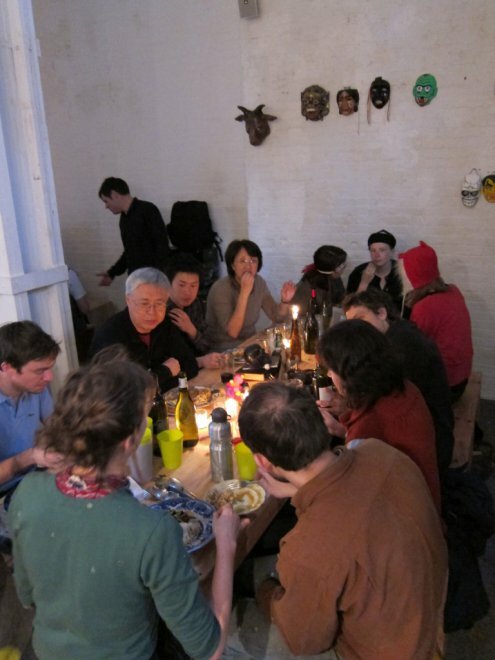 During each dinner, Japanther invited other artists –including musicians, visual artists, and spoken word artists– to perform for the dinner guests, alongside multimedia presentations by Reilly and Vanek about their sources of inspiration, past and ongoing projects, and experimental pieces of audio and video art. 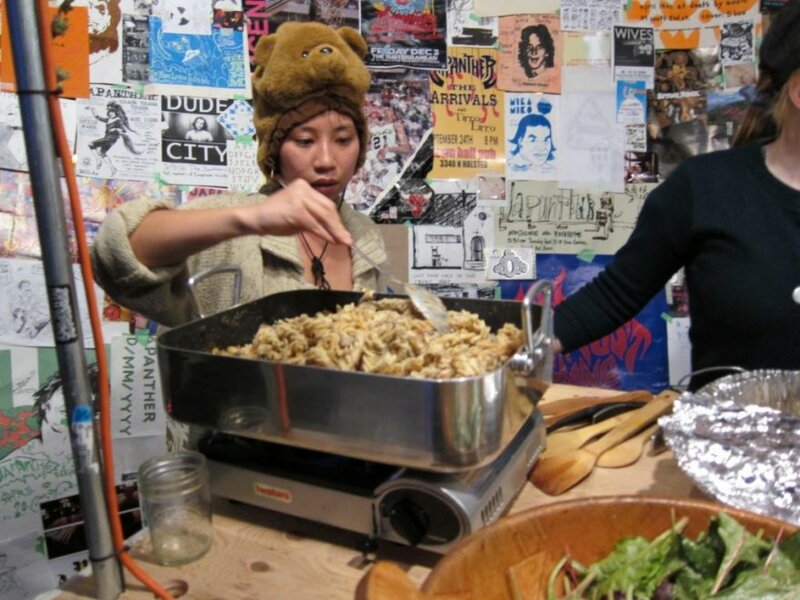 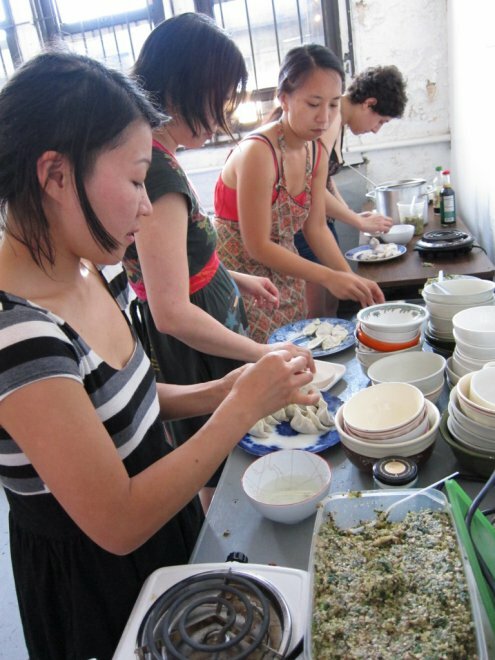 The dinner meals were prepared by California-based chef Jenn Su, who specializes in cooking healthy, sustainable meals for touring musicians. 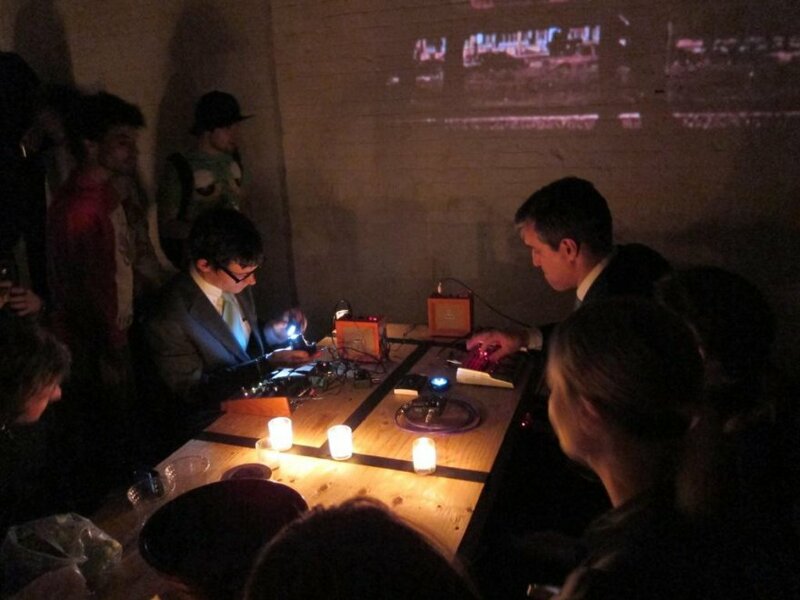 Through this project, Reilly and Vanek sought to recreate the sense of intimacy and community embodied in the experience of using a form of analog communication that is quickly becoming an object of nostalgic curiosity, particularly with the rising predominance of voiceless forms of correspondence such as texting and chatting. 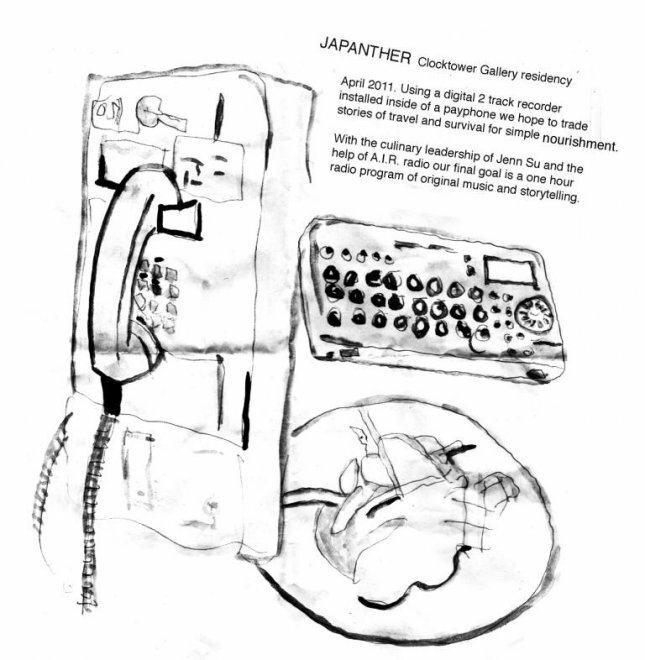 Japanther’s final work of audio art is composed of excerpts of stories told by dinner guests who were invited to visit and call Japanther’s miniature recording studio, a public pay phone booth and a two-way recorder embedded in the telephone receiver. 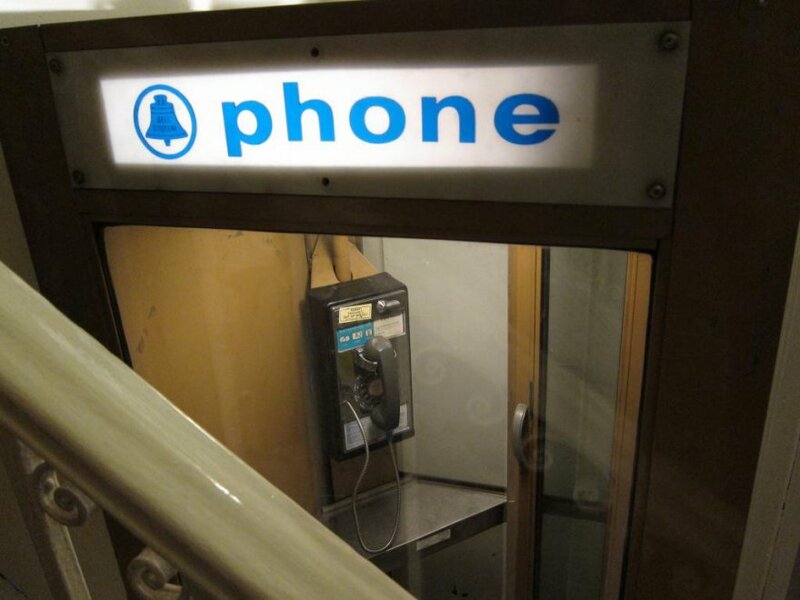 The phone booth is currently on view at the Clocktower Gallery, where viewers are invited to listen to these stories simply by picking up the phone’s receiver. 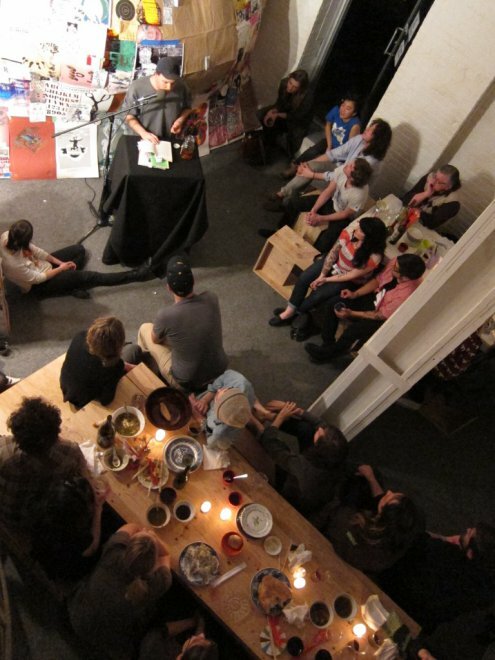 This work of audio art is also archived for free and on-demand listing at ARTonAIR.org.